Expats tend to change their eating habits. Are you an expat with an overhanging belly? Don’t worry, you’re not alone. Putting on weight seems to be very common in expat communities. But is it really that surprising? Moving to another country is not only about new languages and cultures but also about new and exciting food. Exotic dishes, bizarre food combinations and traditional drinks are something every cosmopolitan expatriate should experiment. So, let your food adventure begin! How do we gain weight as expats? The second fatal phase of the fattening journey begins with making new international friends. It’s at this stage that eating evolves into a social event. Invitations to dinners where guests prepare typical food from their countries are so much fun, that the expatriate just can’t resist. Parties with calorific drinks become more frequent. Then inevitably, the phrase “I heard about a great restaurant, we have to go!” becomes commonplace. When the connoisseur finally gets short of cash, cheap junk food starts to work its way into their diet. With a tight budget, and even tighter jeans, their only consolation is that their fellow expats are getting larger as well. Is culture shock to blame? Your extra fat may be just a natural consequence of culture shock. This is a state of loss and disorientation that every new expat experiences after changing their environment. Culture shock commonly leads to lethargy, depression and, believe it or not, weight gain! Living in a different country without support can make expats feel anxious and, as a result, they will often seek emotional comfort in food. Being more aware of what, how much, and why you’re eating can help you understand how you’re feeling on an emotional level, and hopefully lead to overcoming your anxiety about living abroad. Expats should take extra care to make sure they stay healthy and informed about expat health news. What do you think? 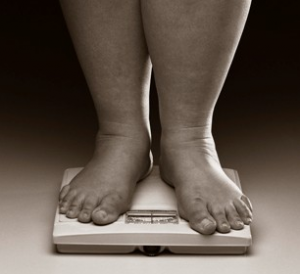 Is it common for expats to be overweight? How did your moving abroad affect your weight? Share your experiences and tips in the comments section. Next story What‘s in store for Just Landed in 2012? Have you found your doppelgänger? I haved moved to London 7 months ago from South Africa. When I first arrived I didn’t pick up weight as you explained in your initial block. But 3 months later started to pick up and have continued. I have been eating healthier and walking atleast 1 hour 3 times a week which I never did in SA, so technically I should be loosing weight – But needless to say this is not happening – If anything I feel as though I have just kept picking up, I don’t even feel like eating healthy anymore as I don’t really see the point if I am not going to loose weight – it just stressing me out as I feel horrible about myself, ontop of all of this I haven’t had my period for 4 months and I am not pregnant?? ok so what is going on with my body. Has anybody else had a similiar situation and no the reason for this and how to resolve it. Thanks Claire! I think it’s ok to moan once and a while. Being an expat isn’t aaywls easy. The trick is not to dwell on the bad stuff Moan for a day and then move on to something that makes you happy! That’s a good tip for dealing with adjustment-related stress! As an American I found it easy to eat healthier in Europe. The portions are usually much smaller and meals tend to be fresher with less preservatives. The only problem I faced was joining a gym. The thought of the registration process in another language was terrifying and when I finally knew enough Spanish most gyms were very expensive. This made me fall out of my usual exercise routine at first but I recovered by doing things in the park or at home. Evelyn I am Italian! there is plenty of food there! It’s the best one! I’ m sure you will enjoy it! Evelyn, swapping hamburgers for Japanese food is a perfect trade! I wish I could do the same 🙂 Good luck in Italy. I have been living in Japan for 6 months and while I initially found that I gained weight I have recently been losing it. In the beginning I found the food strange and often difficult to order in restaurants because I didn’t know what i would be getting. This meant I stuck with what I knew and usually ended up with something safe like McDonalds. Once I learnt some of the lingo and discovered how good the food is here I started exploring the cuisine more. Much of Japanese food is healthy and it is easy to eat well but not pile on the pounds. That said I can’t wait to move to Italy next year, I am sure I will indulge in everything, putting all the weight on I have lost here! Oh, come on girls!!! How lazy you are!!! If you are exotic-addicted, you should be so with many other things, (and not just about food) you could join some typical dance course, for example tango or flamenco, or whatever you want, or you could go walking for hours! Hello Valentina, I just wanted you to know that your article is very interesting! Glad you agree, Laura. And I know exactly what you mean! Eating times became a mess for me as well after moving abroad. Hello, I agree with you about everything! I just moved here in Madrid since last week, so I’m just an expat! I have gone sightseeing all around the city and I have been in many traditional restaurants trying several typical dishes! I got fatter..but how could I resist? Regularly, all my Spanish friends or workmates ask me to cook some Italian dishes for them, so it’s when I exceed with serving and fats! In general, the ones who visit a foreign country or a city maybe think they are not going to come back again, so they take this opportunity to have all they can! Furthermore times are completely different from the ones of my country, so I got confused with food, I can either eat very much or abstain for hours, it’s quite a mess!